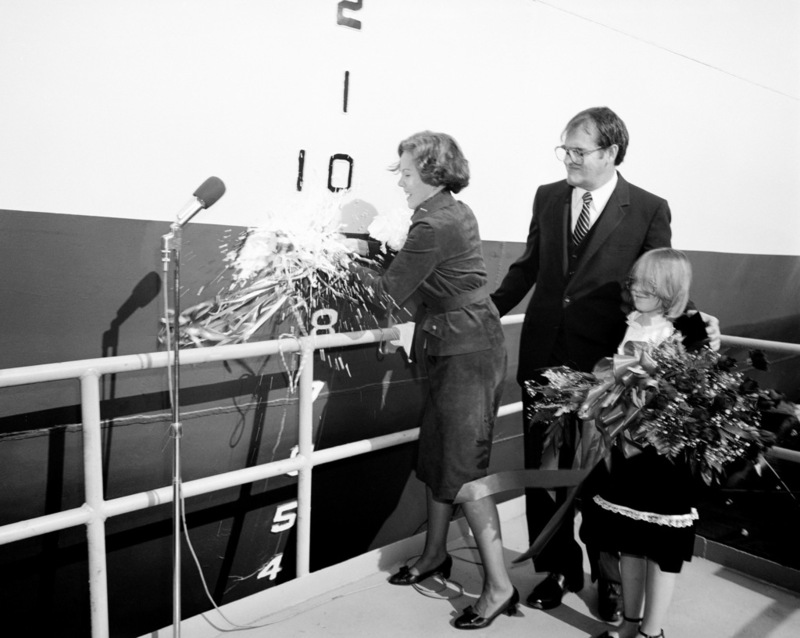 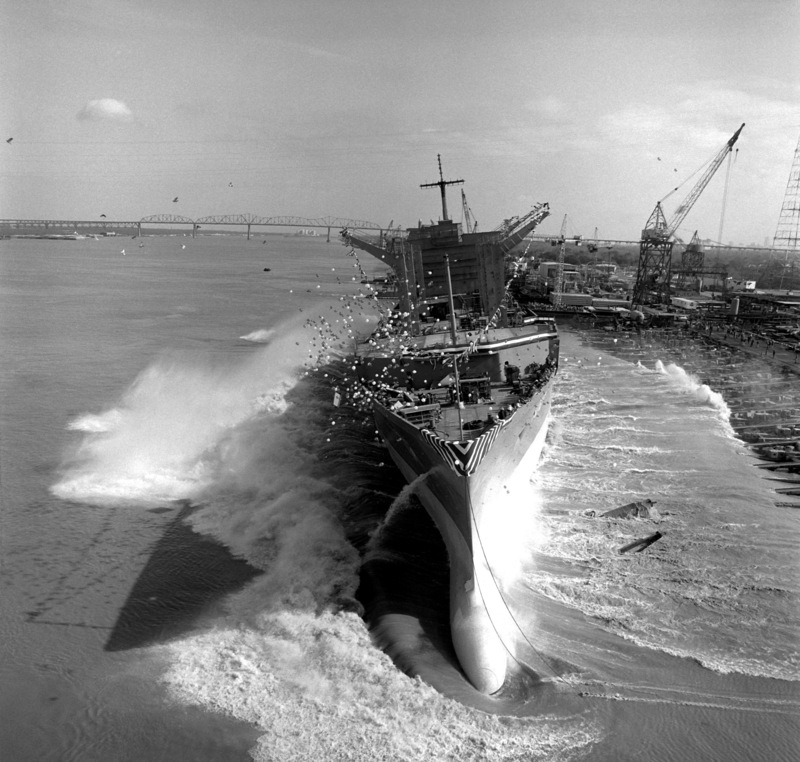 Laid down, 2 February 1981, at Avondale Shipyards, New Orleans, LA. 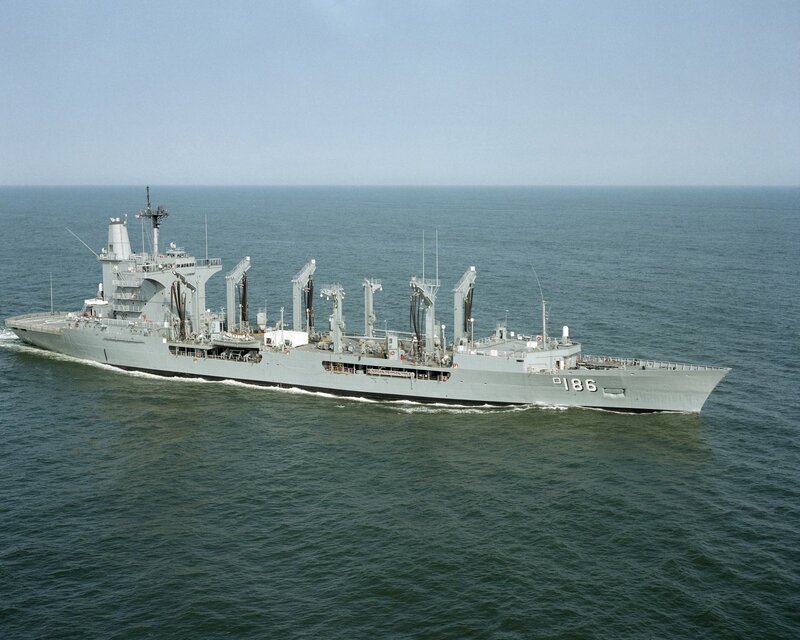 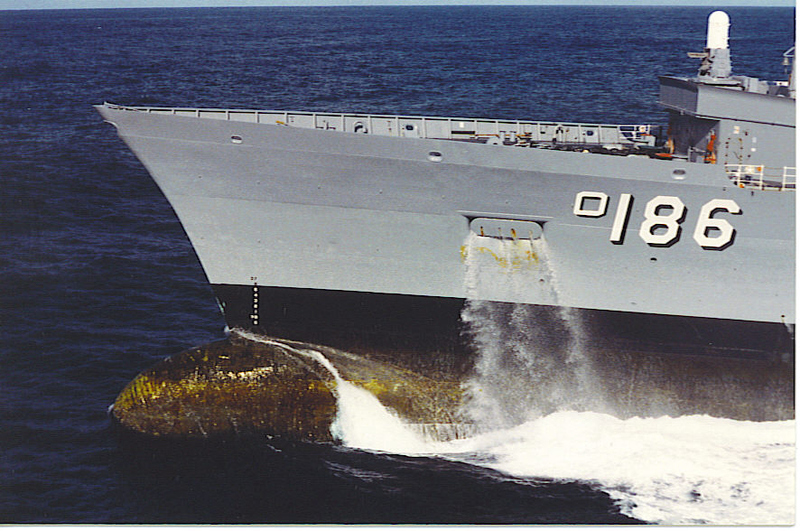 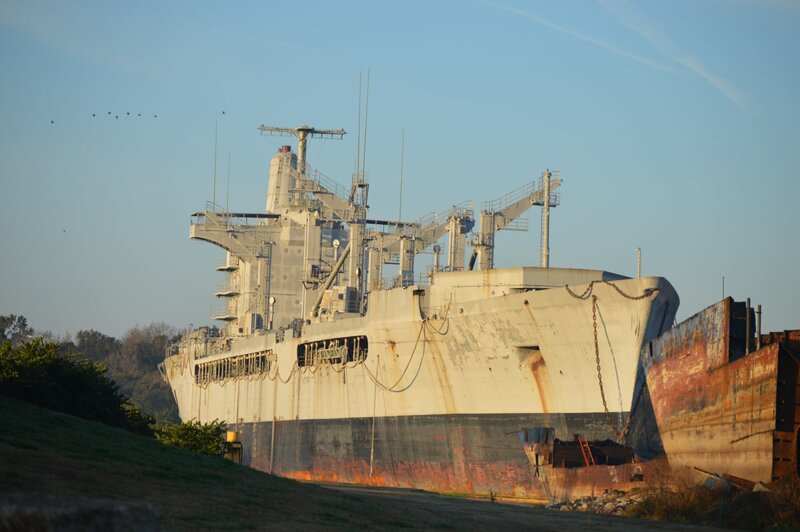 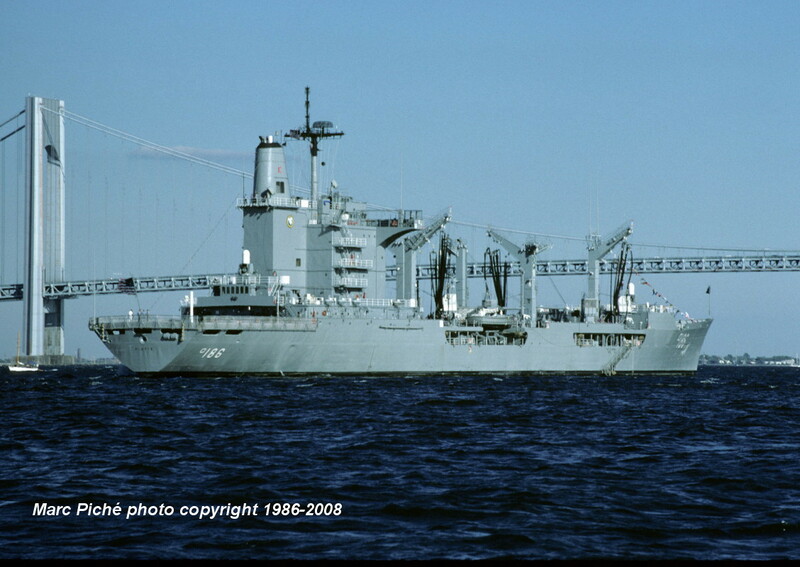 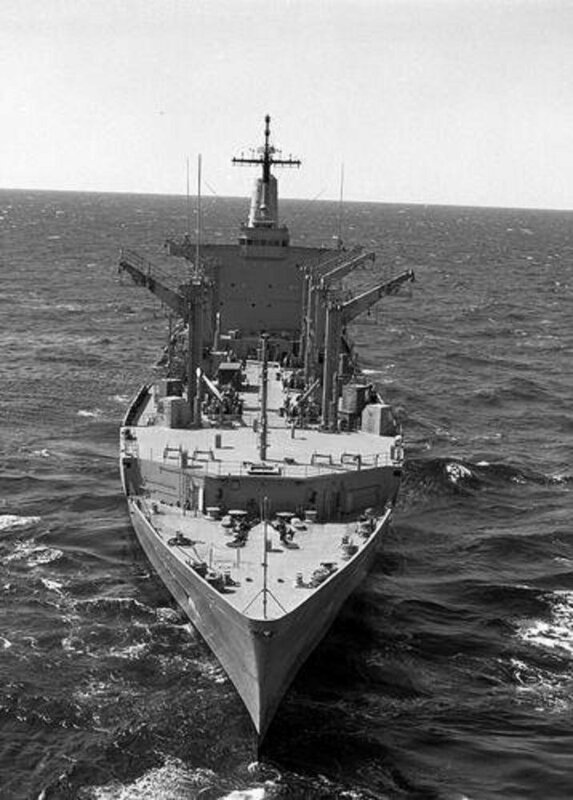 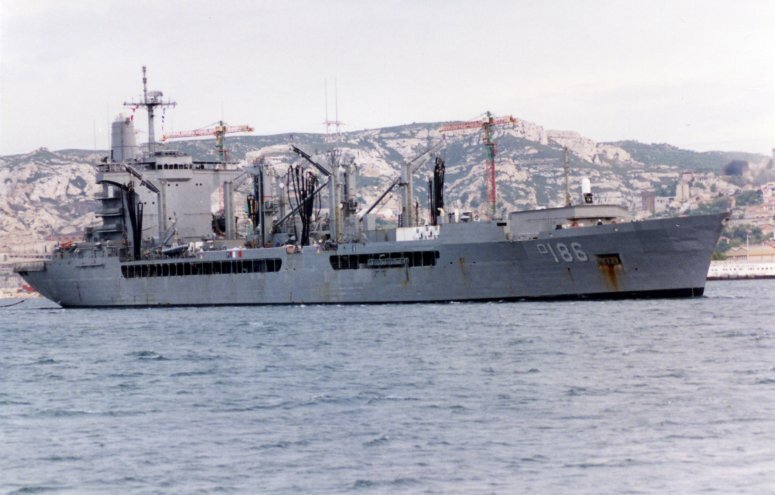 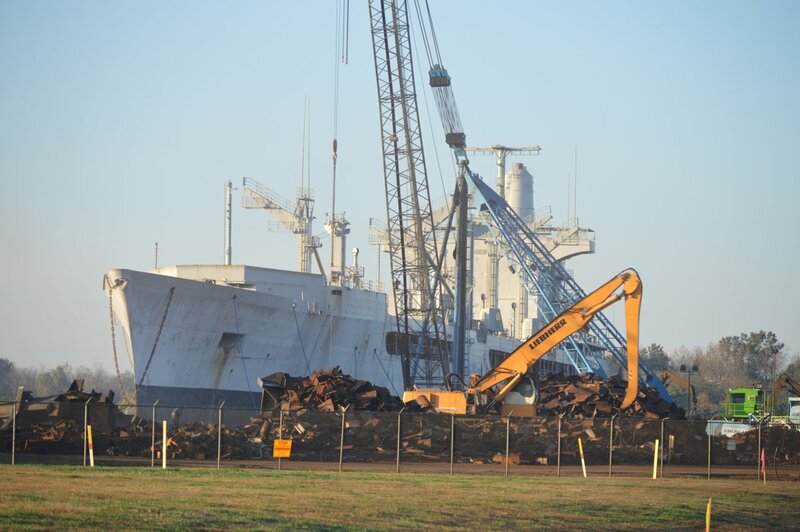 Title transfer to the Maritime Administration (MARAD), 29 November 2001 for lay up in the National Defense Reserve Fleet, James River Group, Lee Hall, VA.
1558k Platte (AO-186) launching, 30 January 1982, at Avondale Shipyards, New Orleans, LA. 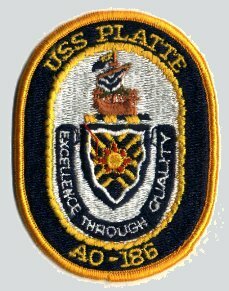 46k USS Platte (AO-186) underway, date and location unknown. 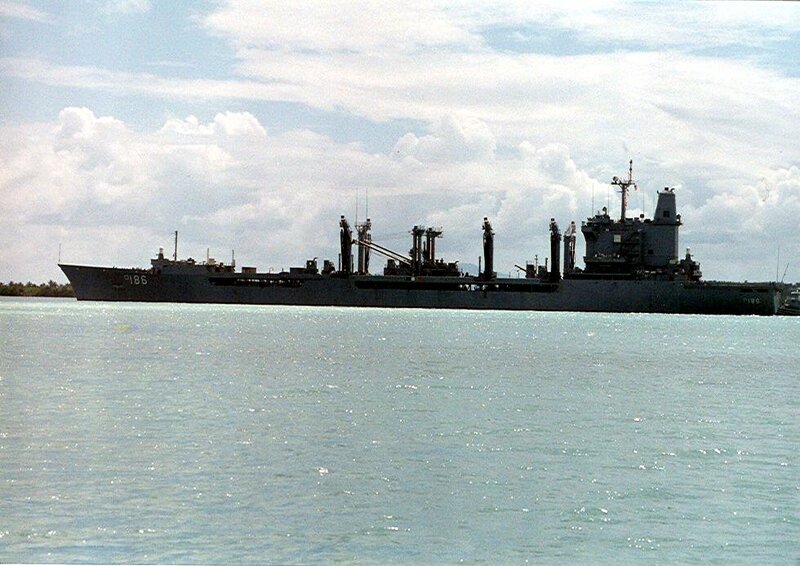 361k USS Platte (AO-186) under way, 1 October 1984, location unknown. 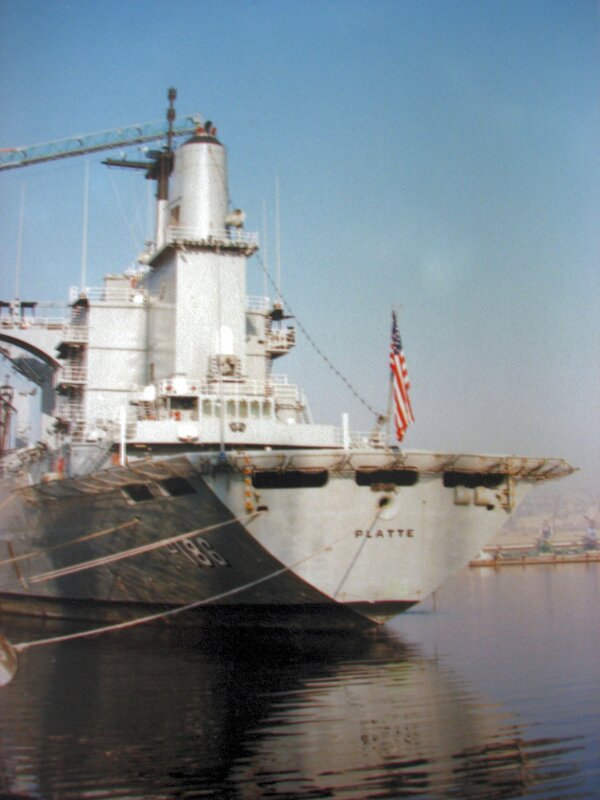 142k USS Platte (AO-186) getting underway from Naval Station Roosevelt Roads, at Puerto Rico, after switchboard fire to allow USS Monongahela (AO-178) access to the pier in 1994. 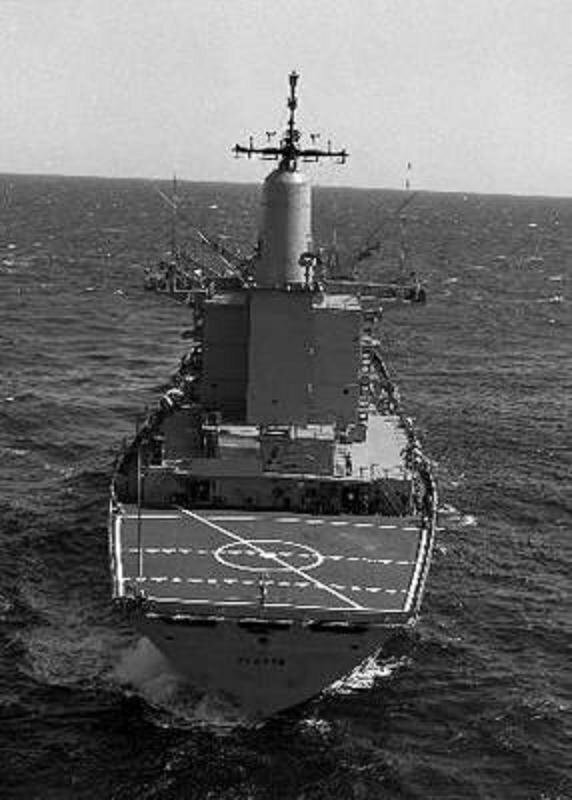 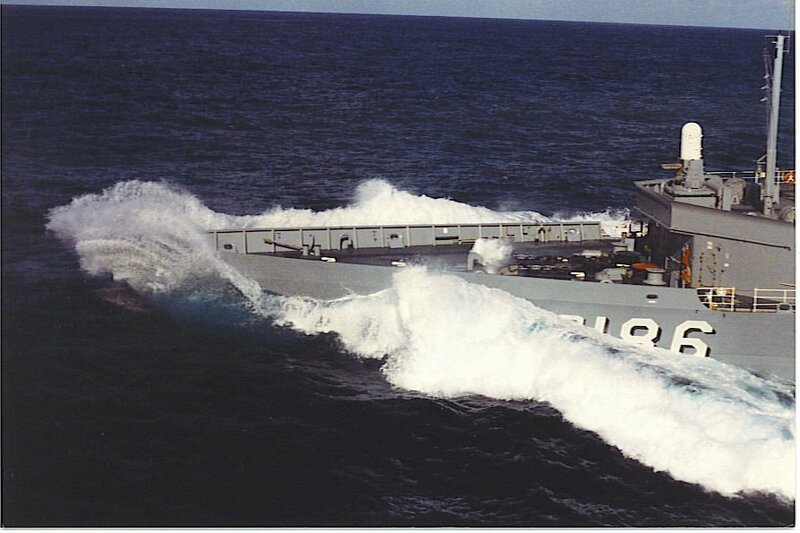 Note that the ship had been "jumboized", as a 35.7m long section was added 1990-1992.